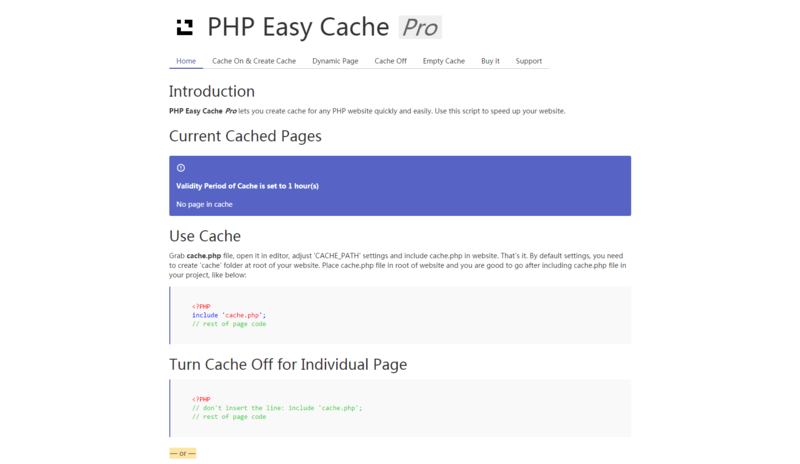 Easy Cache Pro let you create simple cache for any PHP website quickly and easily. Use this PHP Script to speed up your website. Also usable for WordPress! 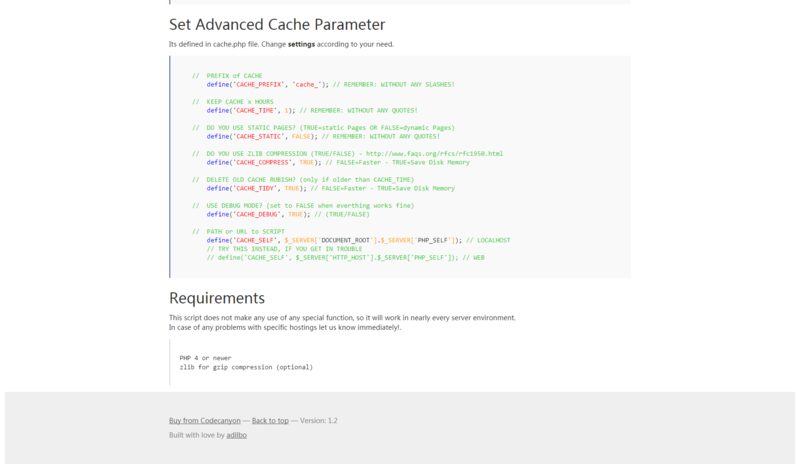 PHP Easy Cache Pro is totaly new build up from scratch! Please keep in mind that a cache system cannot be used for a “login area”, because every logged in user has to see different content! It is very easy to use this. Simply include the script (cache.php) at the top of every Page you would like to use it.